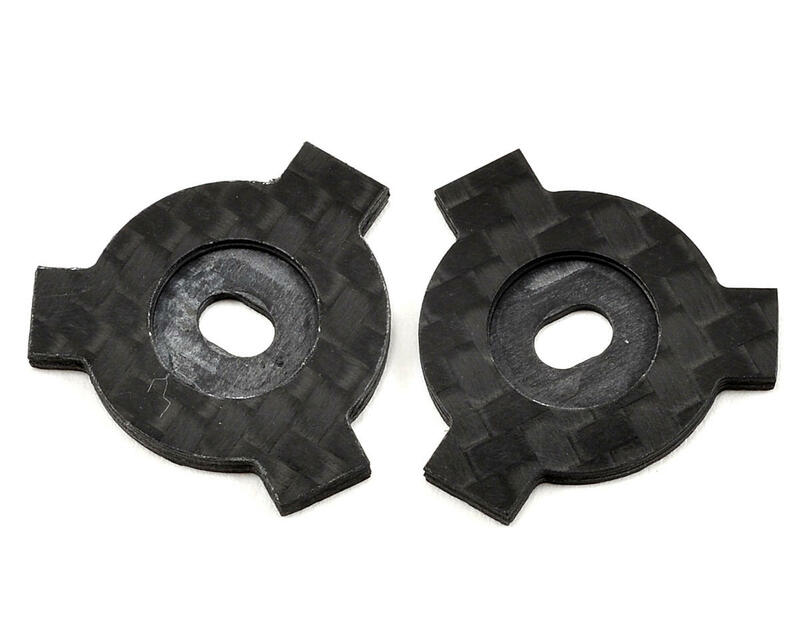 This is an optional Factory RC Avid/Schelle Carbon Fiber Slipper LockOut Plate Set. These 2mm carbon fiber lock out plates are designed to fit Avid/Schelle syle spur gears, and at only 1.2 grams can shed over 8 grams from your stock spur gear setup! * They drop right into your Avid/Schelle slipper assembly and remove precious rotating mass from your drivetrain, making them ideal for stock class applicaitons. Don’t have the Avid/Schelle slipper assembly? That’s ok! Pick up an Avid/Schelle spur gear and these Slipper LockOut™ plates and drop them in! * Drop in for the B5M, T5M, TLR 22, 22T, 22 SCT (1.0,2.0) and any other car that uses the Avid/Schelle slipper assembly. 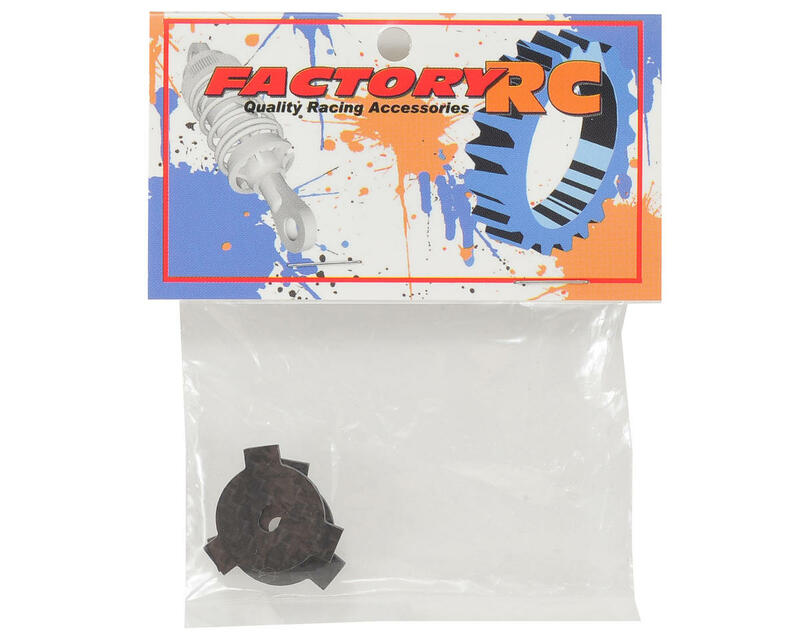 *NOTE: Factory RC recommends using the stock spring/spacer assembly to allow the spur gear to self align. Additional spacers or shims maybe required depending on car and configuration. Weight savings vary upon hardware and spur gears used. Fitment onto the slipper is snug by design. Awesome product, no fitment problems and who doesn't like carbon fiber!! If you're looking to eliminate your slipper for stock racing this is the locker to use!! J'ai acheté ce produit ...et il n'y a aucune notice ..
Faut t'il d'autre pièces pour l'ajuster ?